Why is an inline if/else faster than a .get() in Python? I was reviewing some code earlier and the developer wrote an inline if/else rather than a get() to retrieve an element from a list if it exists (otherwise give it a default value). I decided to spring some timeit code on repl and was pretty confused by the result. 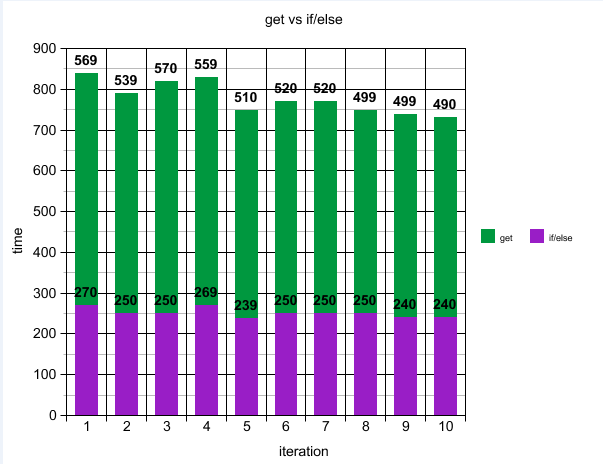 The if/else takes 1/3 the time of the get(). Using AsyncTask to load a lot of images on one layout? How "universal type"profile is different from in-house or adhoc type? To measure the effectiveness of metadata for pdf search?